Yesterday I fixed a Sixtracks which had a silent Voice (#5). Swapping the CEM3394 from voice 6 to 5, revealed that the CEM chip was ok. 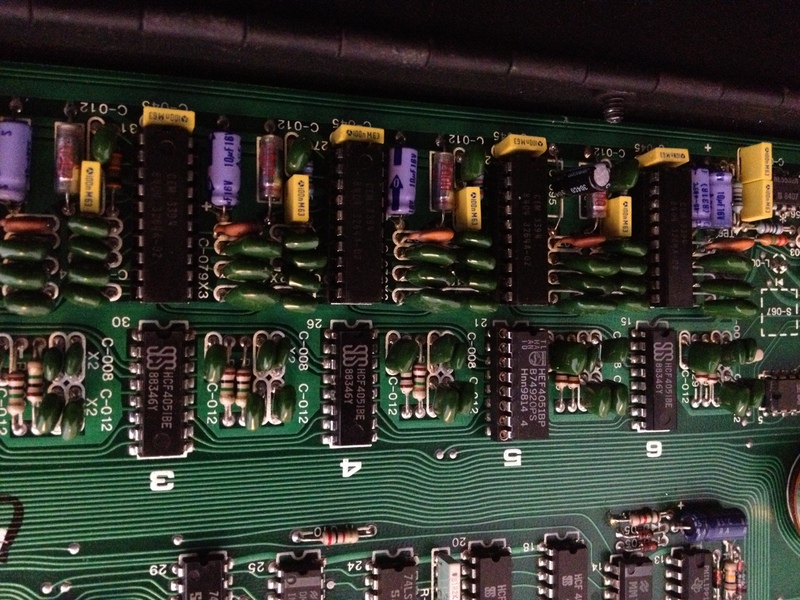 The capacitors in the voice section looked a bit funky so i changed the one of voice #5 but that didn’t fix the issue. A bit of scope probing later, i found that the 4051 was busted so i changed it too. After reassembly Voice #5 was working again but the pitch was super low. Checking in the service manual relieved me a bit as they state that after 30 sec after boot up the Microprocessor checks each voices and tune them. Indeed, after 30 secs the pitch of voice #5 was good again. Job’s done. 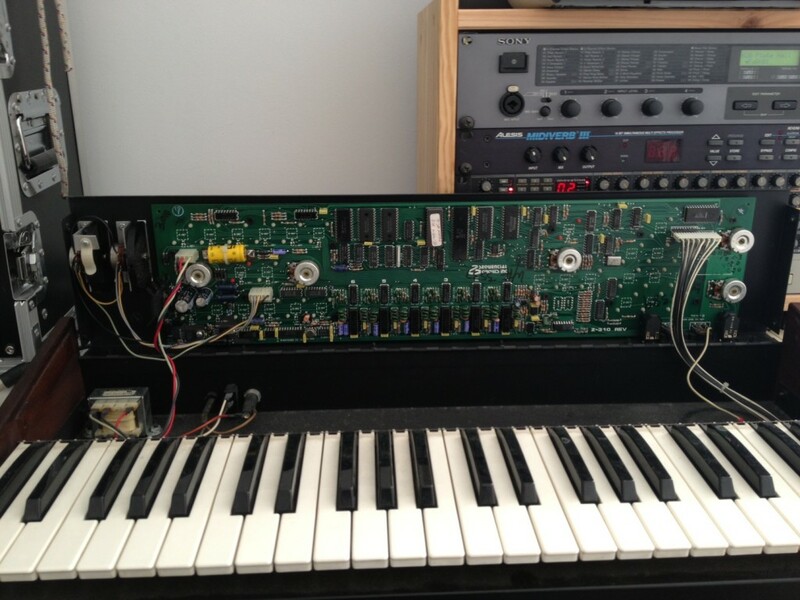 This entry was posted in Uncategorized and tagged sci, sequencial circuits, sixtracks on 12/08/2013 by Terence Hacke®.